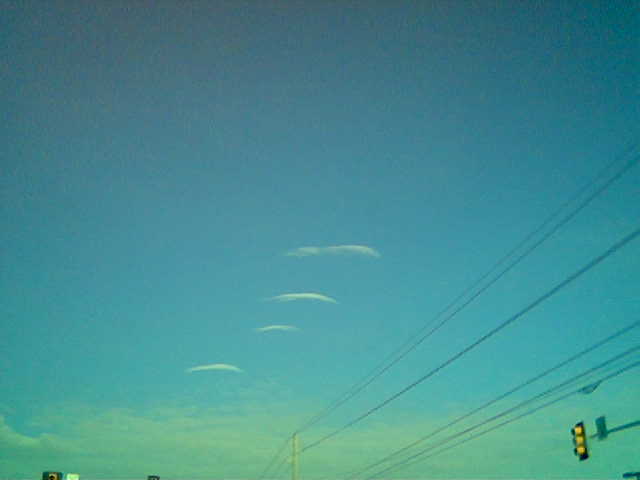 Deep in thought on my morning drive to work (ask me sometime what I was thinking about), I'm startled to see five parabolic shaped clouds in front of me in the west north west. I try to snap a shot with my cell phone camera as I'm driving, but have to wait until I stop at a light. 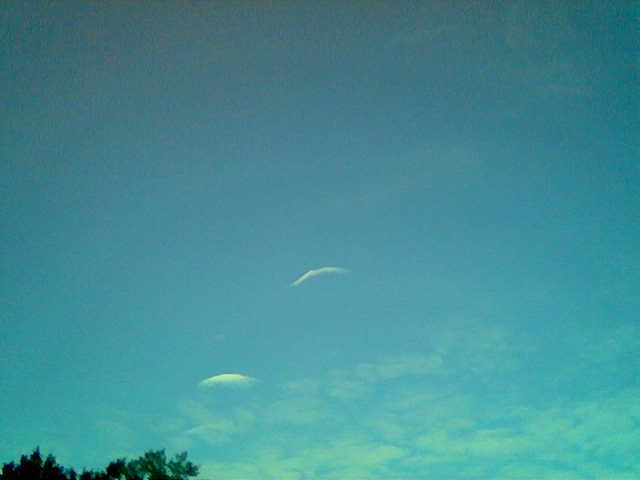 By the time of the first picture there are four clouds in the sky. You can just make out the fifth cloud above the topmost cloud. At the stoplight, I snap a second picture, then at another stoplight a third picture. 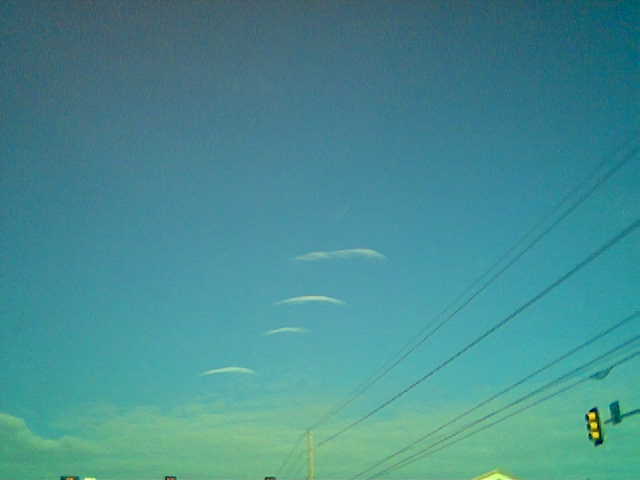 More of the parabolas seem to be dissolving, but quickly form again. 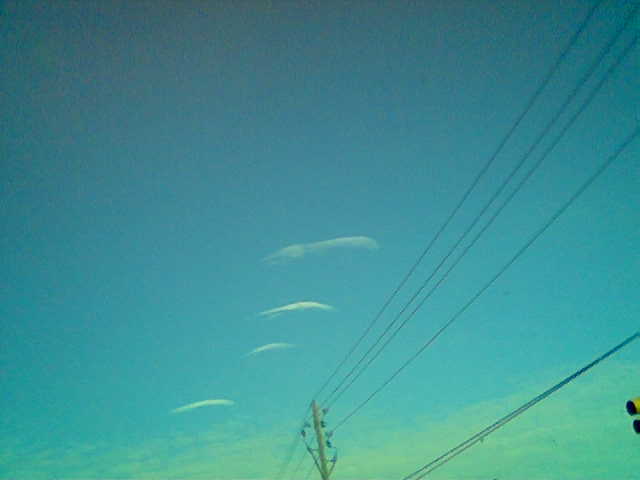 I arrive to work and there are now two clouds left when I click the fourth pic. 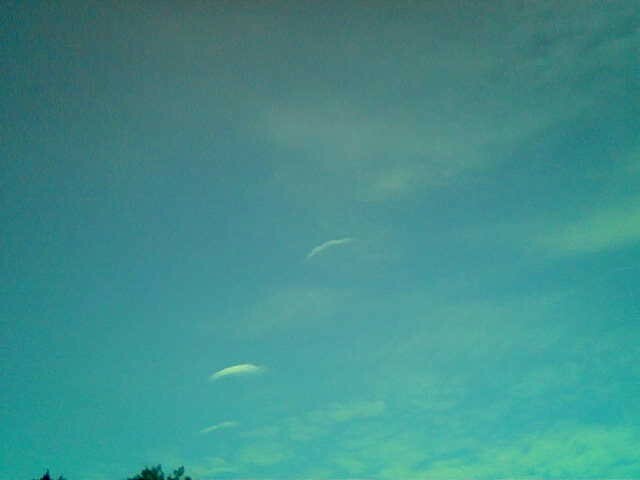 I clock into work at 8:37, and return outside to see the parabolas gone - the normal clouds having taken over. The fascinating experience lasted about 6-7 minutes.